Dedicated, nurturing and caring are attributes of nannies but nannies who reach out to their peers touching them with care, concern and tenderness demonstrates a love of the profession beyond the norm. Often they are unnoticed except by those that receive the gift they offer. Sometimes the gift is in the form of mentorship, other times it someone to listen and still other times it is someone who offers sage advice. They are givers to the core, extending their help into their local community and beyond. Four women who I know come immediately to mind when I think of this type of individual. Although they each are leaders they are not seekers of notoriety or the spotlight. Since that’s the case I would like to shine some light on them. They have all contributed to the growth and maintenance of the local nanny group along with giving of their time to the larger community. Julie Martinson, Mallette Parry, Monica Schoenborn and Connie Wegner are to be commended for their work in the local nanny industry. Julie and Mallette are two of the three founders of Twin Cities Professional Nannies (TCPN). Monica and Connie are long time members. All have served or are serving as leaders of the organization. I commend them for their dedication to strengthening the profession. Each of them has also given their time and talent to the larger community. But it is in taking the time to council and listen to fellow nannies where their true gifts lie. 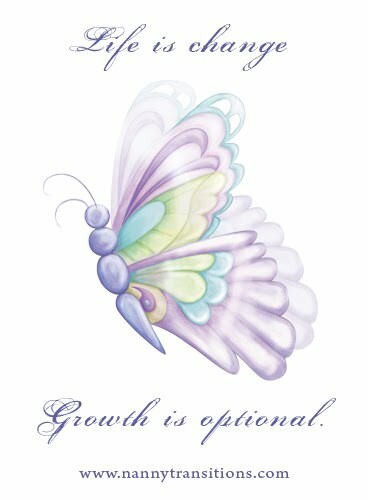 To share what you know so that others can grow is a gift beyond measure. These women do so quietly, confidentially and with wisdom. To be touched by these nannies is a gift unparalleled. 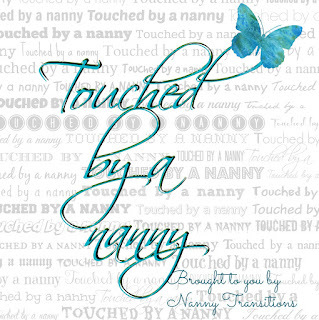 Nanny Transitions presents "Touched by a Nanny"